The Tiger Patrol are excited about the winter snow this year, they’re preparing for their own Winter Olympics and even training with the local Search and Rescue team. Then the weather takes a turn for the worse, and a young girl goes missing in a snow blizzard. The Tiger Patrol must work together to save the day. It's another adventure for the Tigers, are they prepared? The Tiger Patrol are actually a Scout group. I have very little knowledge of the Scouts, but a bit of ‘googling’ told me that as of 2008 there were 31 million registered Scouts and 10 million registered Guides world wide. I think it’s fair to say that Scouting is BIG, and having Bear Grylls in your corner, promoting it probably doesn’t hurt either! Whether you are a Scout or not, if you’re interested in survival skills then this book is a good choice. 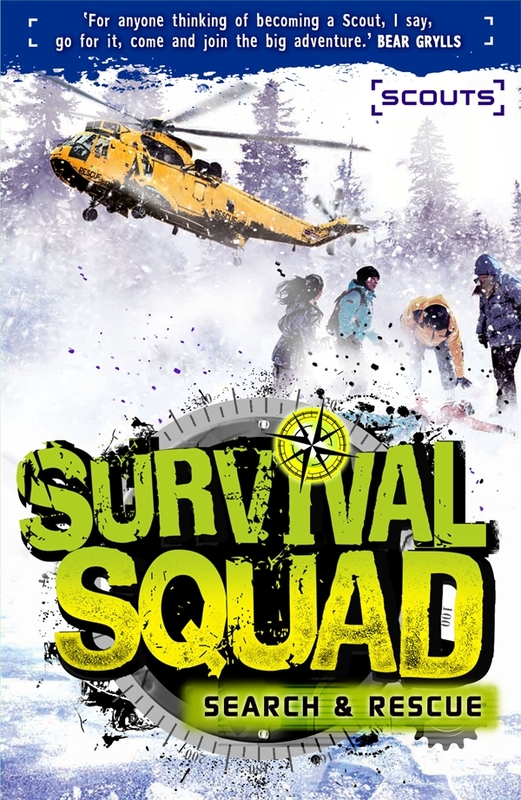 It’s the second book about the Survival Squad, but it stands alone as a story. Living in Australia, I have had little exposure to snow and things like white outs and snow days. The extreme weather the UK went though a few years ago with airport closures, and towns being cut off would not be fun, but for the sake of a good story, the idea of days off school, and days spent skiing and building igloos sounds pretty good. The bad weather has given the Tiger Patrol an excellent opportunity to practice their skills in the snow. They work with the local Search and Rescue team on their first aid skills, orienteering, igloo building, cross country skiing and general team building skills. While most of the time thay are only practicing their skills, they do have an opportunity on more than one occasion to use their knowledge in real life situations. There’s one part of the story when they are rescuing a young girl who is stuck on a thinly frozen pond, I can honestly say that I felt their fear and tension as they were trying to get her off the ice safely. There's a Tiger Patrol Diary at the end of the book that has notes and illustrations of the things they learnt throughout the story. There's pics to show you how to build a snow shelter, notes on how to deal with hypothermia and an explanation about the three kinds of North. The only thing that irked me a little as I was reading is how ‘good’ they all are. I know we don’t necessarily want the characters in our children’s books to be horrible wild bullies, but these kids are perfect, and their manner of speaking to each sometimes seems a bit formal and unnatural. It’s only a small grumble, in what was generally a good action packed story.